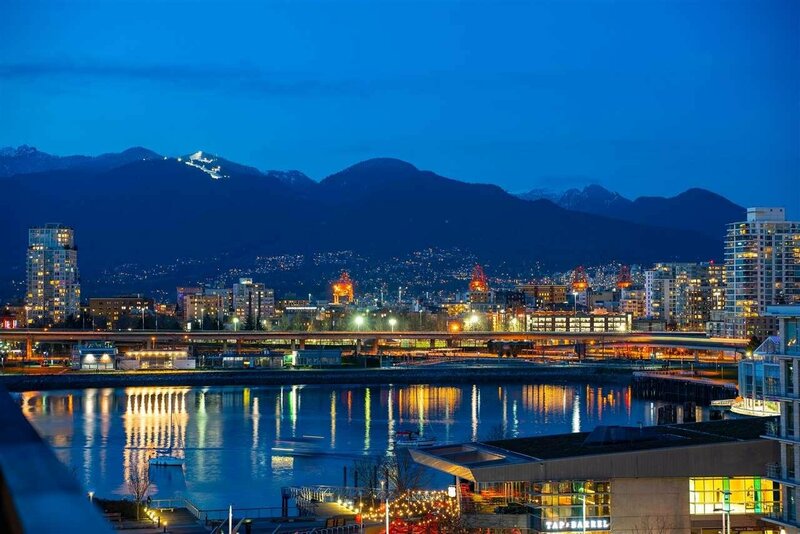 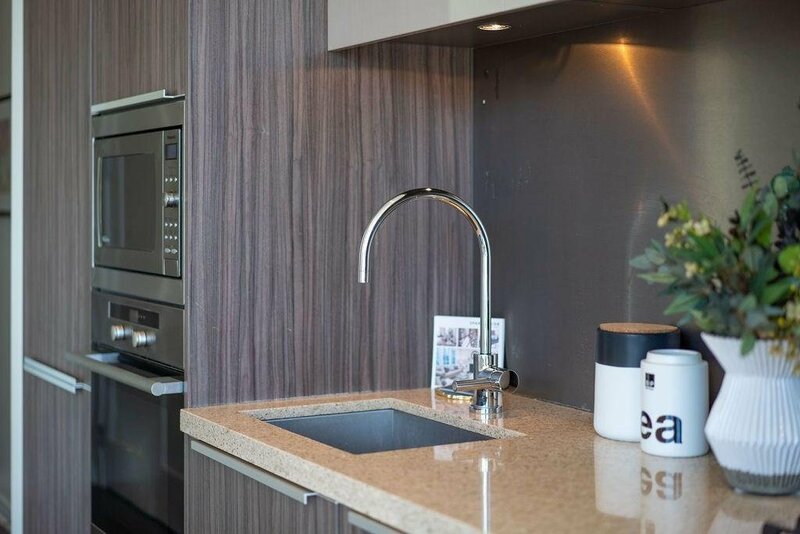 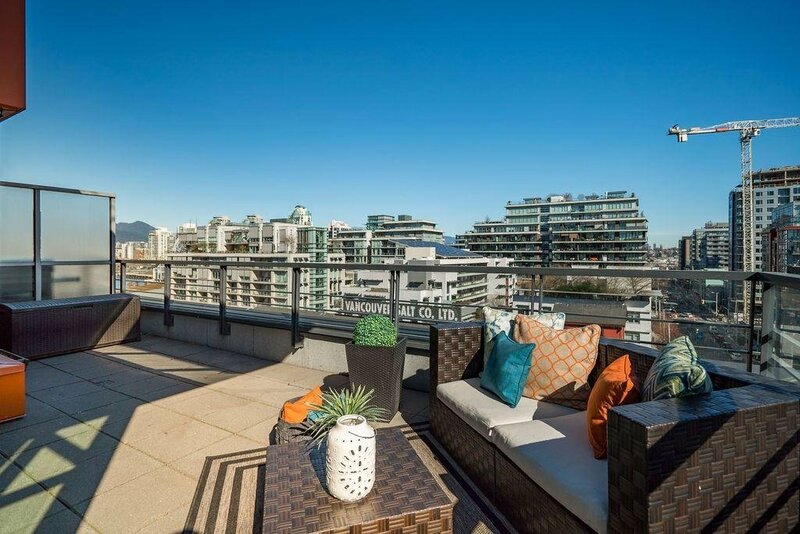 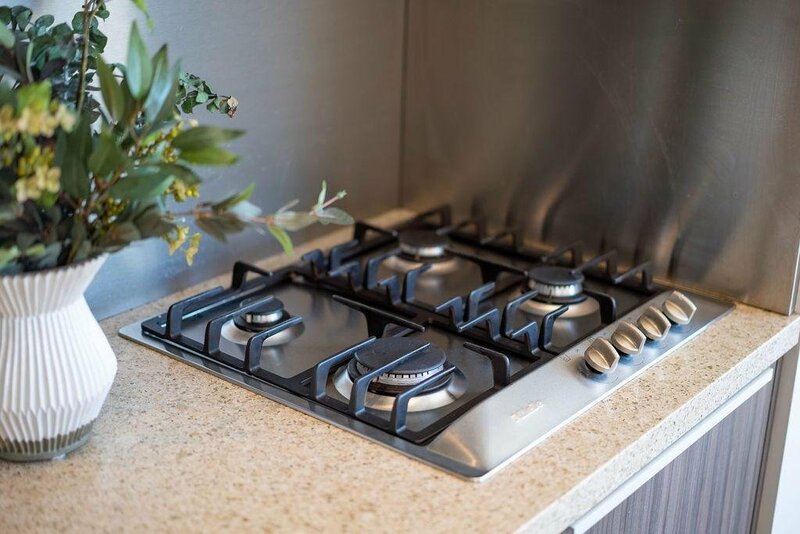 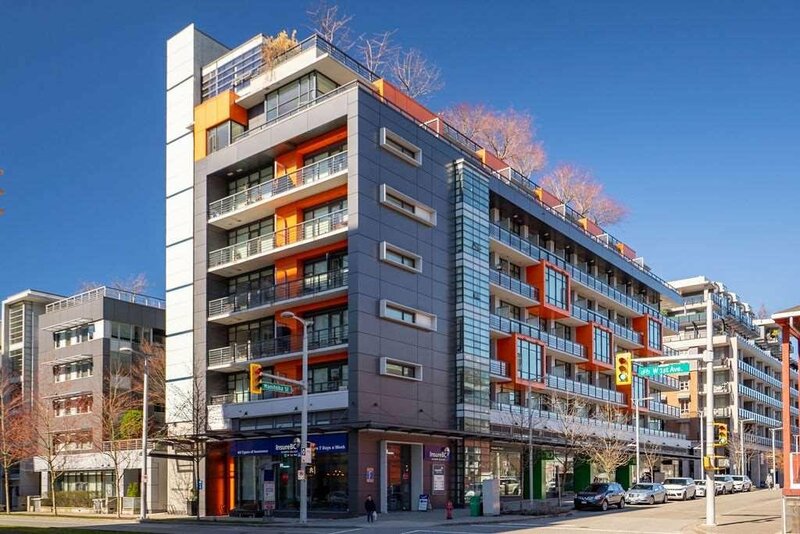 Rarely available PENTHOUSE in the heart of Olympic Village. 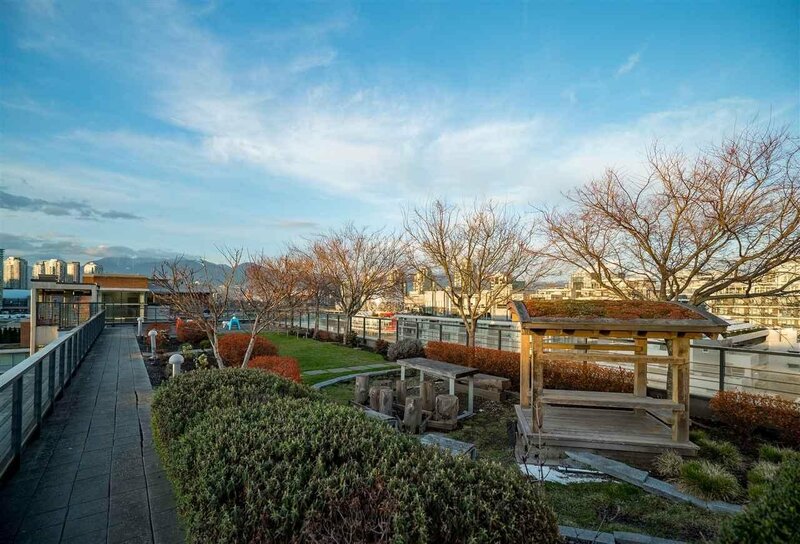 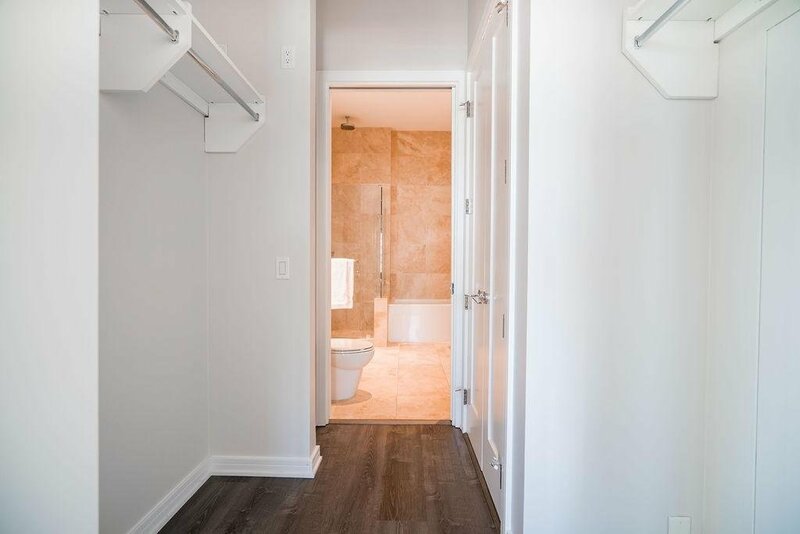 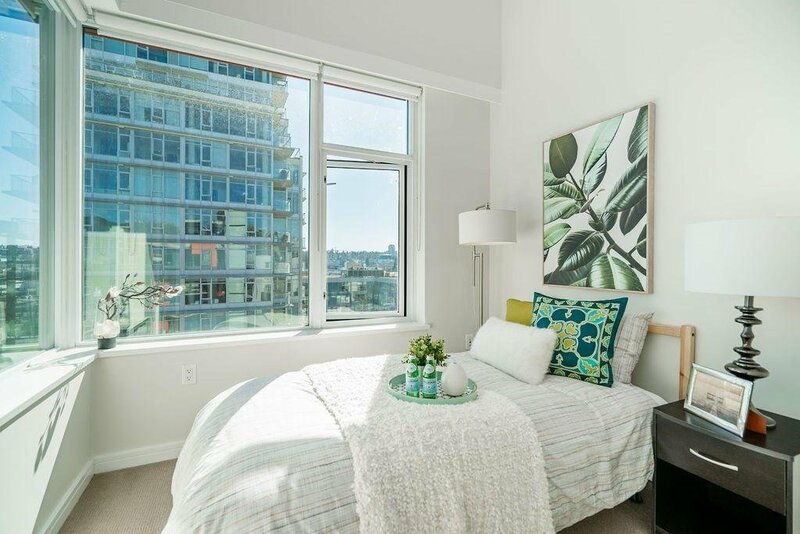 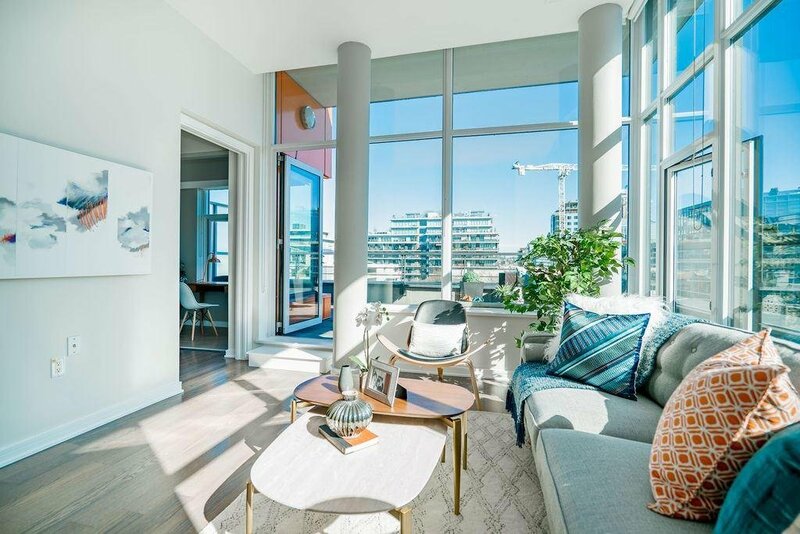 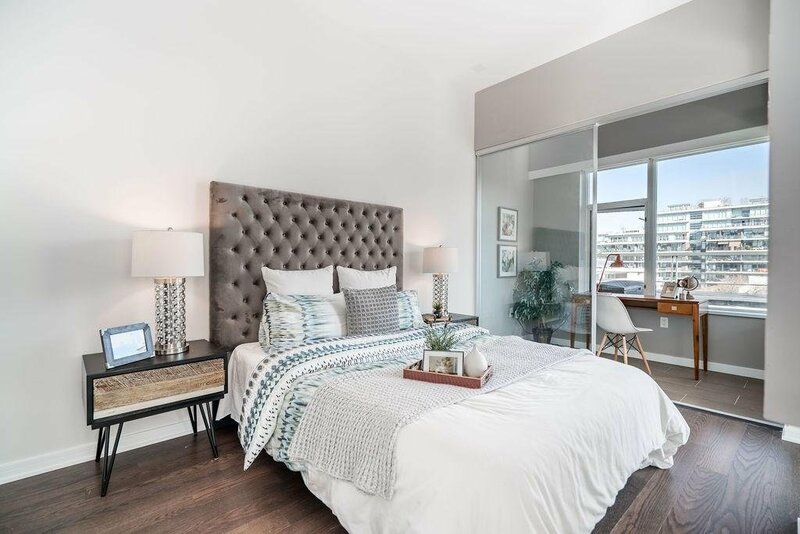 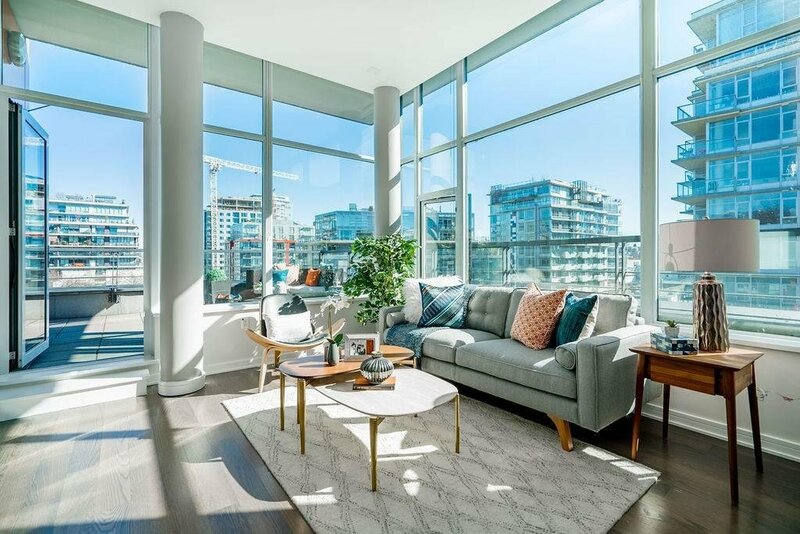 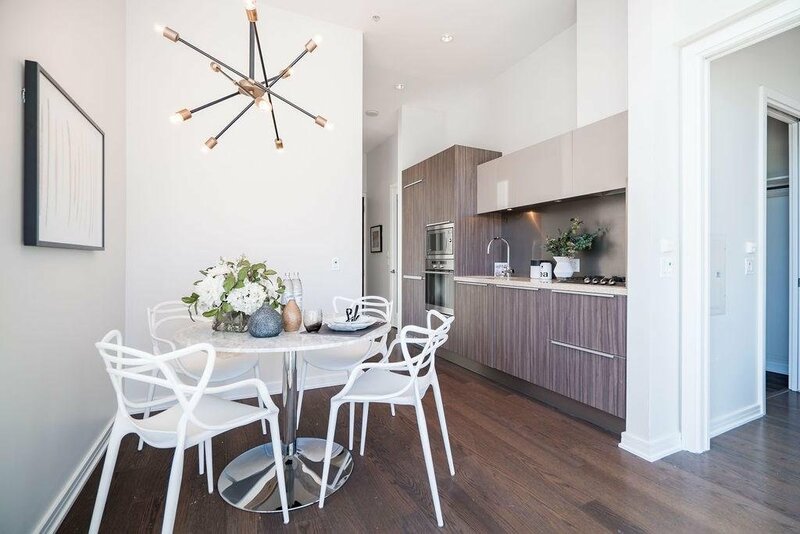 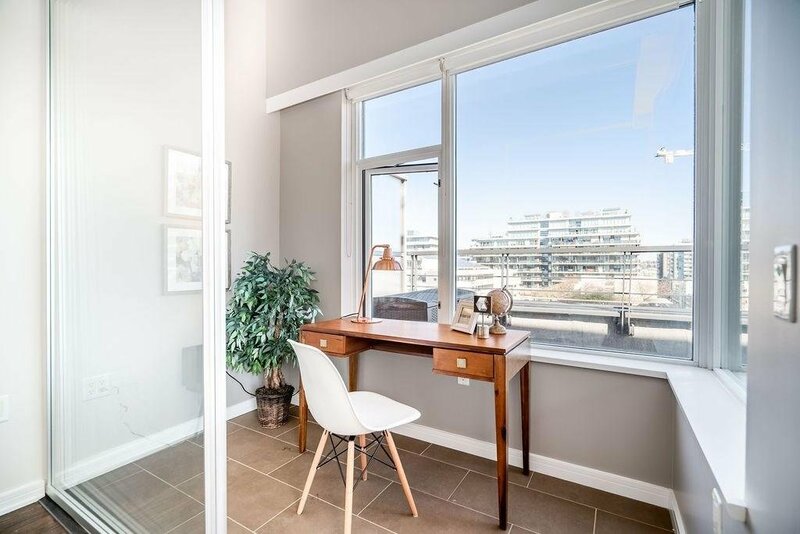 This 2 Bedroom+ Flex unit has overheight ceilings and over 334 sq ft of outdoor balcony with views of the city and false creek. 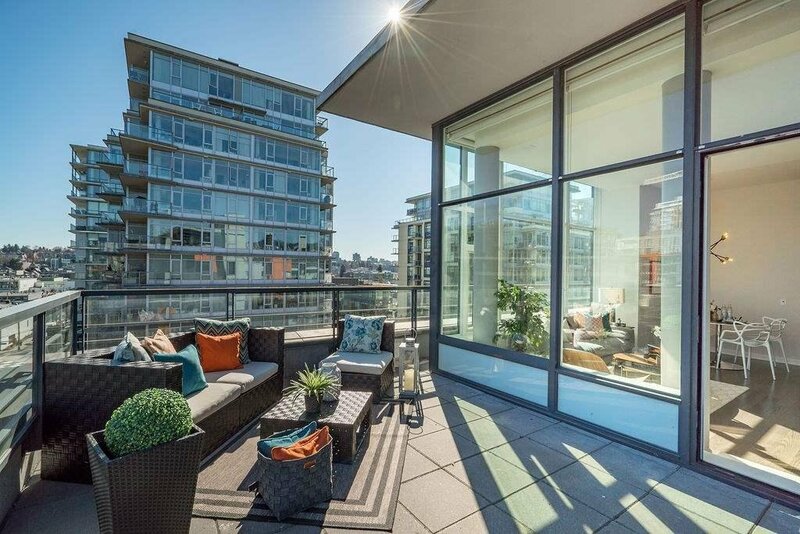 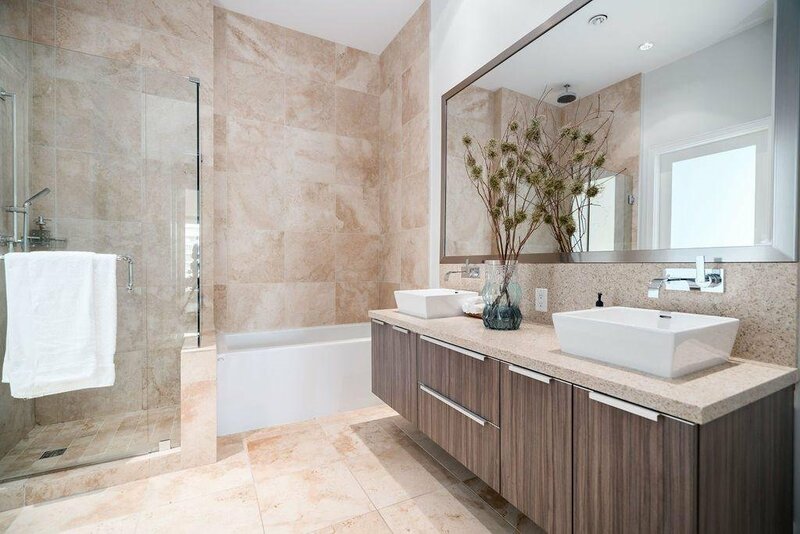 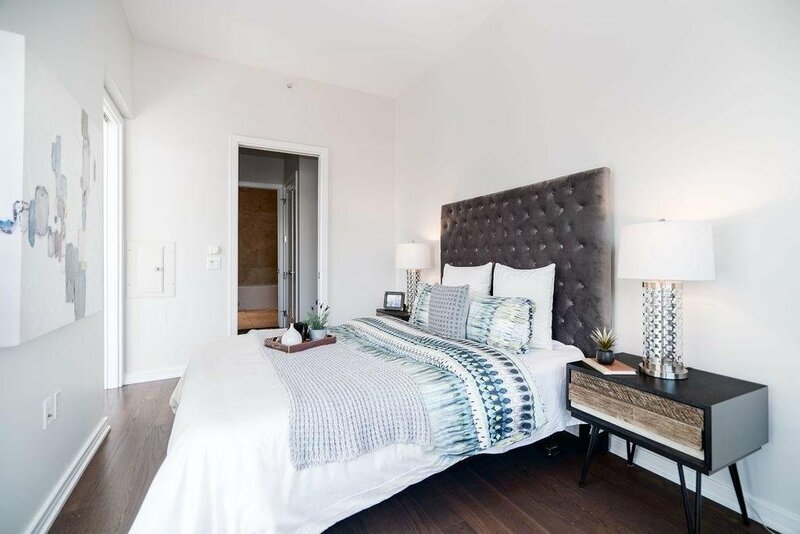 This SE facing home has Miele appliances, quartz countertop and floor to ceiling windows. 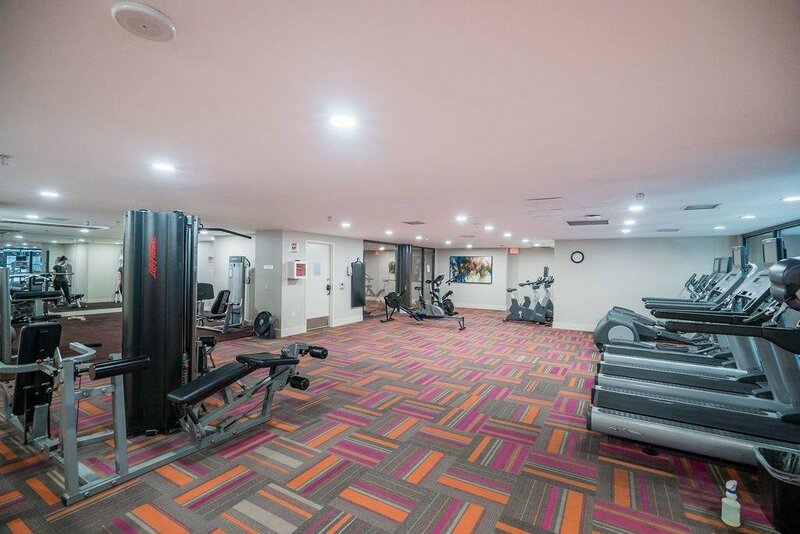 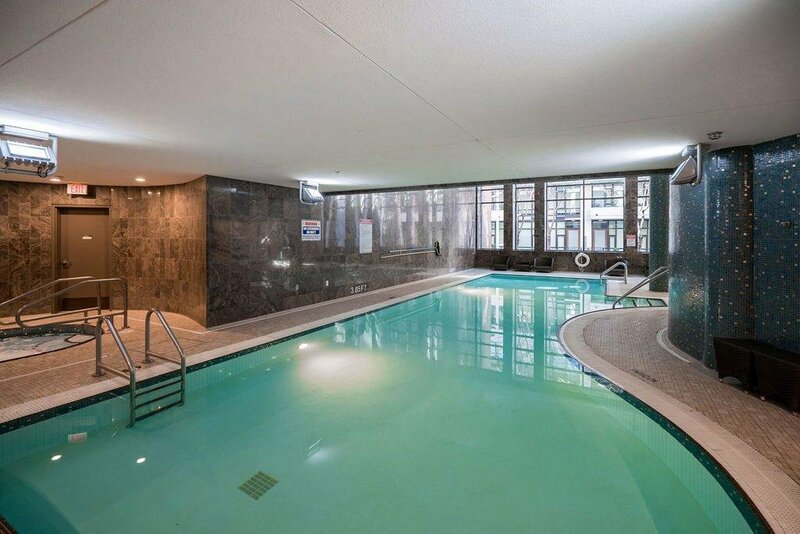 Enjoy membership to the GOLD MEDAL CLUB for owners with indoor pool, hot tub, sauna/steam room and fitness facilities. 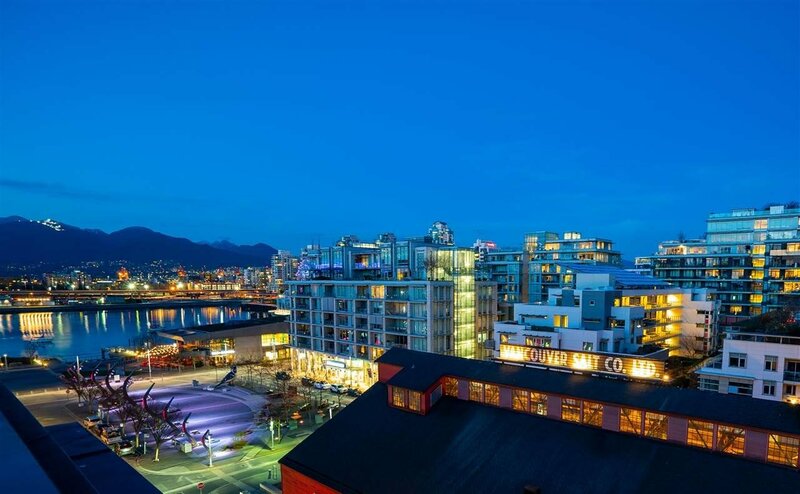 LEED platinum certificate boutique building only steps to seawall, cafes,Urban Fare, shops and all the amenities of False Creek.